59. Derek Sivers on Charitable Trusts, Pre-Internet Guerilla Marketing & Becoming a Semi-Expert – How to Shape Human Behavior. 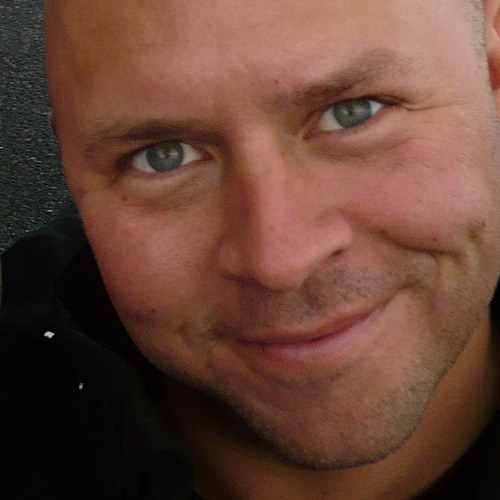 Author of Anything You Want, and founder of Go To Launch, Derek Sivers has 10+ years experience running businesses and helping entrepreneurs succeed. What’s an important lesson you learned while building your business plan for woodegg? Start small. See if people are really interested enough to open their wallets and buy something, before you invest too much time or money into it. In your experience, what are some misconceptions brands commonly have about launching a business? The biggest misconception is expecting your launch to be an event. Nobody cares about your launch. In fact, don’t even launch, just begin. Begin the persistent ongoing work of being public, and showing people how you can help them. Announce it every day or week, instead of all at once at the start. Your start is not their start. Consumers need many reminders before they’ll actually take the time to check you out. In 2008 you sold an online company for $22M and donated it to a charitable trust. If it is such a good investment into the future, makes the world a better place, is good for the brand’s image, AND 5% of that value is paid out to you each year, why don’t more entrepreneurs do this? From the feedback I’ve received from people in the past 5 years since I announced that I did this, it seems most people want the big money. They want $22M. They want the ability to buy a $20M home and a $2M jet or perhaps buy another business for $20M. Many would rather leave that entire amount to their kids. Most business people have told me I’m crazy for doing this. So I think the whole “give it away and live on the interest” is just not a popular idea with people. I’m a startup and interested in following your charitable lead. Would it still be worth taking this route today or have laws made this less appealing? Nothing has changed that I know of. I think it’s very worth doing. In fact, the sooner you do it, the better. Transfer the ownership of your company into a trust early on, as soon as it’s worth anything, so that the value of it can grow inside the trust, tax-free. They’re both pre-internet publications, but have timeless advice on a great mindset for being crafty, creative, and considerate with your marketing approach, instead of relying on spending. You already have something that people want. It might be something you own, something you’ve learned how to do, or access to valuable resources, space, or people. Find a way to share it with everyone who needs it. Share because it’s what you do for friends, because it’s the right thing to do, because it makes the world a better place, and because it’ll make you deeply happy. Share as your contribution in return for all the things and ideas that people have shared with you. If it takes some effort for you to share it, you can charge a little something for your effort, to ensure that this giving can continue. To be a true business owner, make sure you could leave for a year, and when you came back, your business would be doing better than when you left. For you website designers: your design choices are like a light switch. Your users have already come to your site, now they’re forced to use your interface. The best design should do what people expect, and should not make them think. So the best design strategy is to do what others do. As time goes on, we get smarter. We learn more about our customers and what they really want. Therefore, we’re at our dumbest at the beginning, and at our smartest at the end. So when should you make business decisions? When you have the most information, when you’re at your smartest: as late as possible. Summarize thousands of hours of experience into a quick overview people can read in a few hours. Someone can become a semi-expert for under $100 and a few days’ time, then offer their semi-expertise at $20 per hour to all those people (like me) who just want someone to tell us what to do. They could be anywhere in the world, working from home in their spare time. At that rate, anyone who travels would be silly not to spend $10 for them to tell you the benefits that apply to you, or another $10 to have them take care of it. This applies to all industries. There’s so much info out there, so cheaply, that anyone looking for a self-employed career could become a semi-expert at anything. Start-up companies who have too much money often blow it. That there’s an advantage to being under-funded to keep you from making mistakes. Marketing doesn’t cost money. ‘Marketing’ is another way of saying ‘being considerate’. It’s all in how you talk with people. You have to make your own success first, before you ask the industry for help. You have to show that you’re going to be successful with-or-without their help. Show that you have momentum, and if they want to accelerate it or amplify it they can, but it will cost them to ride your coat-tails. If you don’t do this, then even in the best-case scenario, where someone at the company really believes in you, you’ll have no negotiating leverage, and will get the worst deal possible. If you’re just starting out, don’t ask the industry for help yet. Make something happen by yourself first, so you have a success story to tell and momentum to show. When designing your business, service, or product, even if you’re offering it for free, don’t forget that there are lots of people like me that like to pay! Appeal to this side of people, giving them a feel-good reason to pay. You’ll know when you’re on to something special, because people will love it so much they’ll tell everyone. If people aren’t telling their friends about it yet, don’t waste time marketing it. Instead, keep improving until they are. Because I wasn’t eager for new work or even new connections, not having a business card helped keep the less-interested people away. I was easy enough to find. If someone wanted to contact me, they only had to go to my company website, and click “CONTACT”. On the personal side, being a friend, I hate this. Because it’s a lot of work to make complainers realize they can change things. They always push back with all the reasons they can’t, which just reinforces the two points above. On the business side, being an entrepreneur, I love this. Because I know I’m powerful and can change anything. Because every complaint is an opportunity. It’s fun to invent solutions to problems, turn ideas to reality, and watch my creations make the world a little better. When we first consider buying a product or service, the first price we see is the anchor to which we always refer. Cheaper than that seems cheap, and more expensive than that seems expensive. So how did Starbucks successfully start charging $4 per cup? How did they get people to switch their price-anchor to consider $4 a normal (not expensive) price for a cup of coffee? They made sure it was such a different experience, that you could not directly compare it to your previous coffee-buying experience. They did everything they could to make the experience feel so different that you would not use the regular “cuppa joe at the diner” as an anchor, but instead would be open to a brand new anchor. Can you say that your product or service is cheaper-than, more-expensive-than, or about-the-same-as the average price for your product or service from competitors? An entire business model flipped upside down just by starting with an opposite assumption. What assumptions are you running on? Are there things you assume you have to pay for, that might instead be willing to pay you? What current business models might as well be flipped around, or get their income from a different source? If you make a living only providing an in-person (hands-on) service, you are limiting your income. If you were in a “while you sleep” business, there is no limit to how much you can make. paid-area access to your web-archive with all your music, even works-in-progress or make it easy for fans to donate. Sometimes the difference between success and failure is just a matter of keeping in touch! People forget you very fast. Click here for more presentations by Derek Sivers. Posted on October 26, 2014 by Joshua SMITHPosted in interviewTagged asia, authors, derek sivers, entrepreneurs, interviews, malaysia, men, singapore, ted talks, united states.